As you read this article, you have about two ounces of pure magnesium in your body – mostly in muscle and bone tissue. This mineral is essential for more than 300 reactions in your body, including nerve and cardiac function, muscle contraction and relaxation, protein formation, and perhaps most importantly for the triathlete, synthesis of ATP energy. A magnesium deficiency can result in muscle cramping, excessive soreness, inadequate force production, disrupted recovery and sleep, immune system depression, and even potentially fatal heart arrhythmias during intense exercise. But unfortunately, as you learned in my Magnesium Miracle interview with Dr. Carolyn Dean, over 75% of the population is deficient in magnesium. So if you’re deficient, can you just eat more seeds, nuts, grains and vegetables (which are all sources of dietary magnesium)? While seeds, nuts, grains and vegetables are indeed high dietary sources of magnesium, highly active people who include these foods in their diet can still be deficient in magnesium. This is due to a combination of mineral loss through perspiration and accelerated mineral turnover due to high activity levels. Unfortunately, simply using an oral magnesium supplement will not fully replace this deficiency, as oral magnesium in the amount needed for an active individual is not easily absorbed and at high doses creates diarrhea. 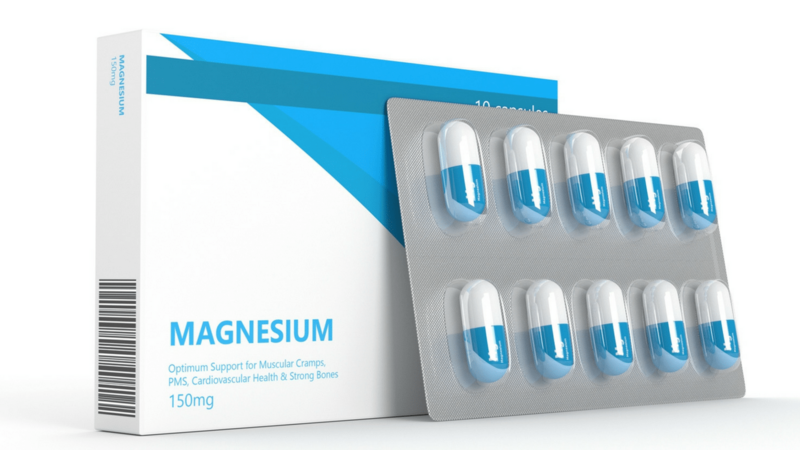 So while the use of oral magnesium (such as magnesium citrate powder) is certainly helpful from a supplementation standpoint, a far better way to deliver targeted doses of magnesium is through the use of topical magnesium. This is where transdermal magnesium comes in. The delivery of drugs transdermally (through the skin) is a practice used in medicine to avoid the risk or inconvenience of intravenous therapy, to lower loss of absorption as a drug passes through the gastrointestinal tract, to lower metabolism of the drug by the liver, and to provide a more targeted application (such as a topical non-steroidal anti-inflammatory drug delivery via patch vs. swallowing a pill). This same practice can easily be used to deliver high doses of precisely targeted magnesium to your muscles pre or post-workout for enhancing performance and recovery. Since topical magnesium also bypasses digestion, higher doses of this key mineral can be delivered. There are multiple ways to take advantage of transdermal magnesium delivery, but if you choose any of them, it’s still important to keep track of exactly how much magnesium you’re taking in via a combination of oral and topical use, since anything above 500-1000mg can cause loose stool or gastrointestinal discomfort. For example, you’ve probably heard of one popular form of transdermal magnesium delivery, which is an Epsom salts bath – commonly used for decreasing muscle soreness. Epsom salts actually deliver magnesium sulfate, which can help with post-workout recovery. However, magnesium chloride is even more effective than Epsom salts, and you can actually dissolve one to three pounds of pure magnesium chloride flakes or crystals in a bath for an extremely relaxing and soreness relieving soak. A magnesium chloride flakes bath will deliver about 500mg of magnesium. Alternatively, if you don’t want to hop in a full bath, after a long run or ride, you can simply soak your feet in a magnesium chloride footbath. Topical magnesium chloride is also available for use via a spray application, and I personally use 8-10 sprays each on my shoulders, arms and legs prior to a race or hard workout, and do the same post workout. If you found this topic interesting and want to learn more about both oral and topical magnesium use, you should listen to this fascinating interview with Dr. Mark Sircus: “Learn the Shocking Truth About The Single Most Powerful Compound That Pharmaceutical Companies Don’t Want You to Know About“. In addition, Dr. Carolyn Dean has written the book “The Magnesium Miracle” and the e-book “How To Change Your Life With Magnesium”. Questions, comments or feedback? Leave them below. I bought some Ancient Minerals Magnesium, believing the sellers and other promotors of “magnesium oil” but then later looked harder for evidence that it can work transdermallhy. I would like to believe that it works as I am invested in a kilo of flakes. Alas, I am having a hard time finding convincing evidence that transdermal sprays or creams are effective. I should be willing to exercise some confirmation bias and thus believe Ben or other non-scientists but I really want to make sure I am getting what I need. I am breastfeeding my 2 month old baby. Can I take magnesium until I get loose stool and not affect her digestive system? I am usually constipated anyway, so that will actually be a relief. I stopped drinking milk because it makes her colicky. I currently take vitamin D supplements and am having stiff joints and fatigue. Epsom salt baths don’t seem to be doing much. I have had amazing results rubbing down with pure 99.9% DMSO, then spraying myself down with a magnesium chloride oil I make with reverse osmosis water and Zechstein Mg chloride flakes. I keep them separate because they are not nearly as effective when combined. There is a warm sensation when the magnesium oil and DMSO meet and you feel instant relief in muscles and stress. DMSO with magnesium oil is definitely the way to absorb better transdermally. Just wanted to pass that on to folks in severe muscle and nerve pain as is such with Lyme disease. All Magnesium is not created equal mag chloride for the oil is good but I would never recommend Magnesium Citrate as it interferes with Ceruloplasmin and can cause iron dysregulation and other issues. Here is a list of Oral magnesium supplements I recommend and why. Threonate – Brain injuries, PTSD, depression, neuro conditions, anxiety, good to take before bed also. Mag Water – one of the co-factors, improves absorption – Mag water is 45ml MOM to 1ltr carbonated water or soda water then shake bottle and put in fridge, 1 hour later shake again. It changes to Mag Bicarbonate and then you add this concentrate to fluoride free filtered water. 1 or 2 oz concentrate to a bottle of water. Sip throughout the day. Also magnesium works best when you support the Adrenal glands at the same time. Think Adrenal cocktail. My son is suffering from headaches/pain from a mild/moderate concussion via a hockey game yesterday. I have applied some Magnesium Oil that is ultra purified water and magnesium chloride to his brain stem/back of neck/base of skull/forehead. It did burn a bit,but that subsided. My question is, is there anything else I can do to elevate this pain? Are you a fan of essential oils? I am not a doctor and this is not to be taken, interpreted or construed as medical advice. These are just my own personal thoughts and not a prescription or a diagnosis or any form of health care whatsoever. Of course, I also recommend talking with a licensed medical professional about all of this! I am not a doctor and this is not to be taken, interpreted or construed as medical advice. Please talk with a licensed medical professional about this. These are just my own personal thoughts and not a prescription or a diagnosis or any form of health care whatsoever. I would stick to no more than 40 sprays (around 400mg)/day if it were me, rubbed into clean skin well. Ben, can I bathe in the magnesium salt that is normally used to get rid of snow? This stuff is pretty cheap on Amazon. Thoughts? I have started taking magnesium oil recently and I’ve noticed that my legs and knees have become very stiff. It’s been just over a week since I have began taking it. Ben, what about magnesium threonate? My issues are anxiety/ palpitations/ insomnia. The info out there says it crosses the blood brain barrier more effectively. Do your dose recommendations still apply to this form? Hi Ben, first off I’d like to say I think it’s great that you’re still actively answering questions here! My problems started when I took Omeprazole just over 18 months ago, within that first week I noticed tingling in both arms, especially around the wrists, I came off the drug but have never been right since and in fact have gotten worse as my hands are plagued with spasms, pain and decreased mobility/muscle weakness, I’m finding it hard to do much of anything anymore. I have had no luck with doctor’s as they tell me Omeprazole doesn’t cause these side effects and I in fact have cerebral palsy so all of my new symptoms are being blamed on my condition when I know this isn’t the case, but it is making it impossible to receive help, especially considering my blood tests show my magnesium levels are normal but I feel like I am suffering with symptoms of severe magnesium deficiency. My question is do you think my problem could be magnesium deficiency? And if so is a complete recovery possible considering how long I have been deficient and how long could I expect my road to recovery to be? I currently have 100mg of chelated magnesium bisglycinate supplements and am unsure where to go from here. I’m at my wit’s end so any help you could provide would be greatly appreciated! I’ve been struggling for 6 months. I got misdiagnosed and was given esomeprazole for 4 weeks… Then the Tingling started in my head.. I suffer all the time. I have colitis and have just bought magnesium oil. I’m taking multivitamins too which include 100mg of magnesium. Hi Emma, this is going to take a deeper dive into your health history…For this, I'd be happy to help you via a personal one-on-one consult. Just go to https://bengreenfieldfitness.com/coaching. and then choose a 20 or 60 minute consult, whichever you'd prefer. I can schedule ASAP after you get that. Using topical magnesium oil, how long does it typically take to fully replenish magnesium? Can I use Epsom Salts in a drink, if so what should the dose be ? I have twinges and sharp pains often. I also have been getting leg and foot cramps when I move in my bed at night. The magnesium supplement was too expensive and I haven’t the time to soak in a bath. One recipe says add lemon juice for flavour but does not specify the amount of Epsom Salts to add. Thank you. Show me the evidence that magnesium salts are absorbed through the skin. Salts are not absorbed through the skin. If they were, swimming at the beach would be lethal. So if you think your deficient up your Magnesium doses until you get the Shi%s and then back off. Is there any side effects of increasing your Magnesium x2/3 and with balances of electrolytes etc ? I use natural stacks ‘mag tech’ with 3 blends of mag + sometimes spray and mag salt foot bath. That's basically it, yep…gradually increase until loose stool, especially with magnesium citrate. Your other blend looks pretty good. Ben quick question… I’ve been using the magnesium oil topically for about 6 months now. I saw in another article or podcast somewhere (can’t find it now) that you get the best absorption on your legs and back. How the hell do you sleep with this stuff on man!?!?! It makes my skin stick to the sheets like crazy! Aaaaaah… I must have confused the two, time to try the lotion. Thank you! I weigh about 105 lbs. I do an epsom salt foot bath every day, take a tsp. of magnesium citrate (does not cause loose stools) and use magnesium chloride spray on my shoulder for fibromyalgia pain. I also use 2 tbs. of collodial minerals with alkalizing greens. Should I use magnesium chloride foot soaks or epsom salt foot soaks for maximum efficicency? Magnesium flakes work WAY better than epsom salts for getting magnesium into your body: http://www.magneticclay.com/120-flakes-74-custom…. You can do full body soaks with it OR foot soaks or both. This I am actually not certain on. I would start at http://magnesiumhealthinstitute.com/ to research this. Good luck. I just purchased Natural Calm with calcium and wonder if the benefits will be the same? I have been taking the magnesium citrate version for about 6 weeks and have noticed a big improvement in my sleep quality. I purchased the magnesium only version on the recommendation of my local health food store after a DNF in a half marathon last month due to calf cramping. I'm not good at taking a calcium supplement so the magnesium citrate with calcium was very appealing as I am almost done with my first jar of magnesium citrate. So how does one best use Magnesium Citrate without getting the loosening bowel effects? I am self experimenting for the sake of research looking at mood and anxiety. I noticed this morning, particularly looser stools. I I currently bought the brand Solgar which is offering 400mg of magnesium as magnesium citrate per serving. In one dose, I can already detect a difference. I am hearing a bit about maltodextrin over at Endurance Planet, but am not real sure how about to use it. I am looking at a product called Now Foods, Carbo Gain 100% Complex Carbohydrate. I set up for several ultras this year, and really do not want to rely on a lot of gells to get me through. I have had the GI problem in the past, but have mostly fixed this through adjustments in diet and chiropractic care. I still need a lot of nutrients during the race as I seem to run out of steam easily. Also, any thoughts on a strong liquid diet (shakes) for night before and morning of huge training runs (20 + miles) and races. I'm not a fan of maltodextrin for longer efforts because A) it only uses one sugar transporters, vs. a maltodextrin blended with a simple sugar like fructose that uses two sugar transporters; B) it can cause diarrhea after about 8-10 hours of use. I am unaware of any study cofirming the therapeutic value of topical magnesium as a supplement. Just as normal sweating cannot replace the kidneys, spraying a bit of magnesium on the skin cannot replace the intestines. Magnesium is "poorly absorbed" for a reason. the body does not like anything that messes with the level of magnesium in the blood. So, take a supplement, take it every day. 500 mg of magnesium oxide will deliver 300 mg of elemental magnesium to your intestine and about 100mg to the kidneys. The kidney will keep what it needs and excrete the rest. Most diets fall short of recommended by about 100 mg. Don't use magnesium citrate. The high citrate content increases the absorption of aluminum an lead, both poisons. Do you like any particular brands? I'll be taking a bath in magnesium chloride tonight, cheap when you call it a cattle supplement. How does one know if they're magnesium deficient? Tons of clues. I'd *highly* recommend checking out Carolyn Dean's book "Magnesium Miracle", and also realizing that about 75% of people are deficient, but it can range from headaches, to cramping, to subpar performance, to low testosterone, to poor sleep, to restless leg syndrome – with a mineral that is responsible for 300+ enzymatic reactions, the list goes on and on…I'd honestly just take magnesium, man. 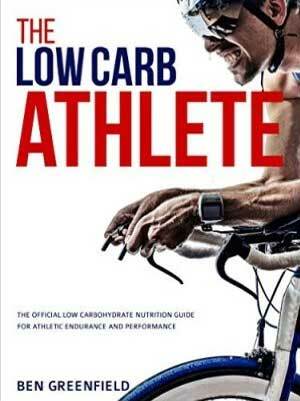 Thank you Ben for always posting such great information, your commitment to solid information and your passion for the endurance sports really shows..
Is coconut a nut,fruit,vegetable? just wondering! This information is so iinteresting, thank you Ben for the great work you are doing. I always wonder why my muscles are so sored after weight training and it would sometimes last for almost 4-5 days. Yes, been asked about them a few times. They won't provide a lab report on their product and they don't seem to know much about it…… but it MIGHT be OK! "While seeds, nuts, grains and vegetables are indeed high dietary sources of magnesium, highly active people who include these foods in their diet can still be deficient in magnesium. This is due to a combination of mineral loss through perspiration and accelerated mineral turnover due to high activity levels." My guess would be it depends on how much you are training and what your needs are. Ben is there a test we can do to determine what our intake should be on a daily basis? or to determine if we are deficient? Yes, the test would be an NTX urine test. Bioletics can do this one.